We have a limited number of Canadian lynx skulls. 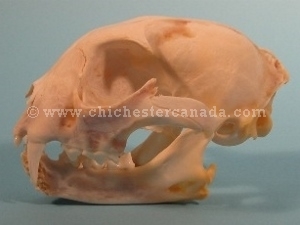 A random skull measures 6" long, 5" wide and 3.5" high, and weighs 0.2 lbs. 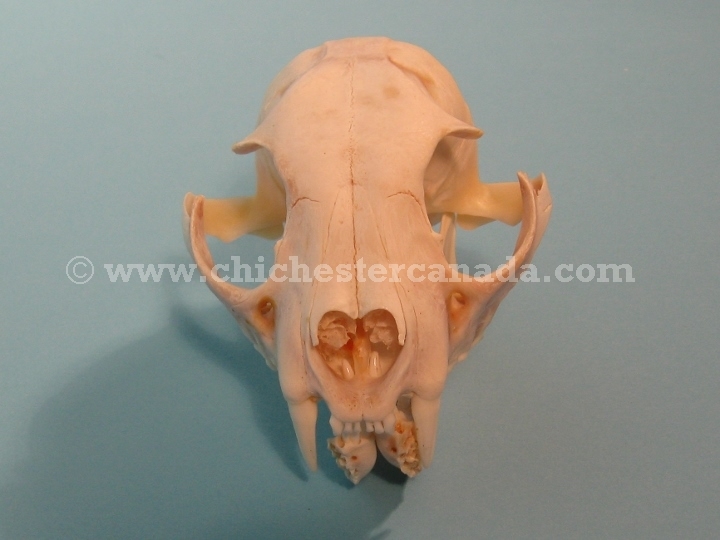 Genus and species: Lynx canadensis. Wild. Not for export due to CITES controls.